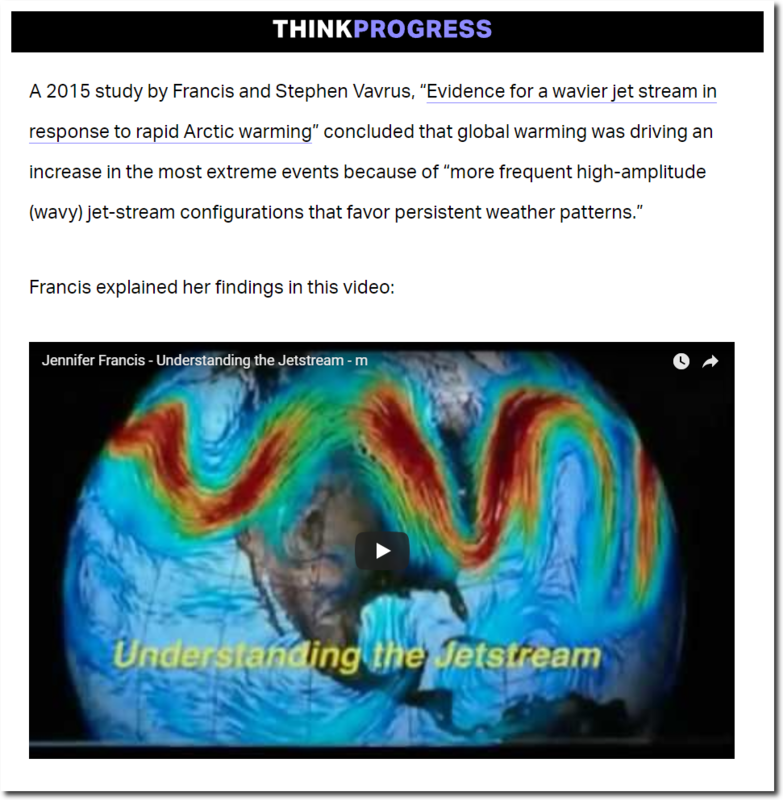 Ninety seven percent of climate scientists agree that a wavy jet stream is caused by global warming and disappearing Arctic ice. 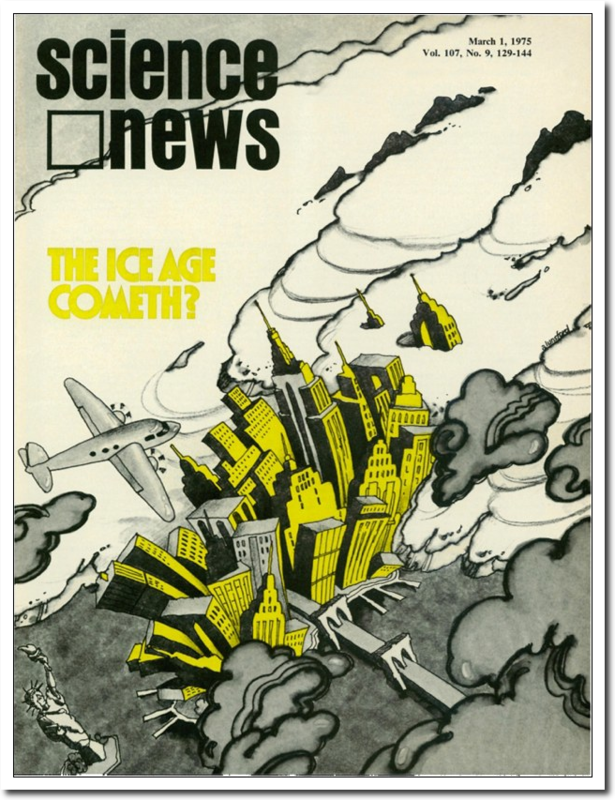 This is not to be confused with 40 years ago, when 97% of climate scientists agreed that a wavy jet stream is caused by global cooling, and increasing Arctic ice. 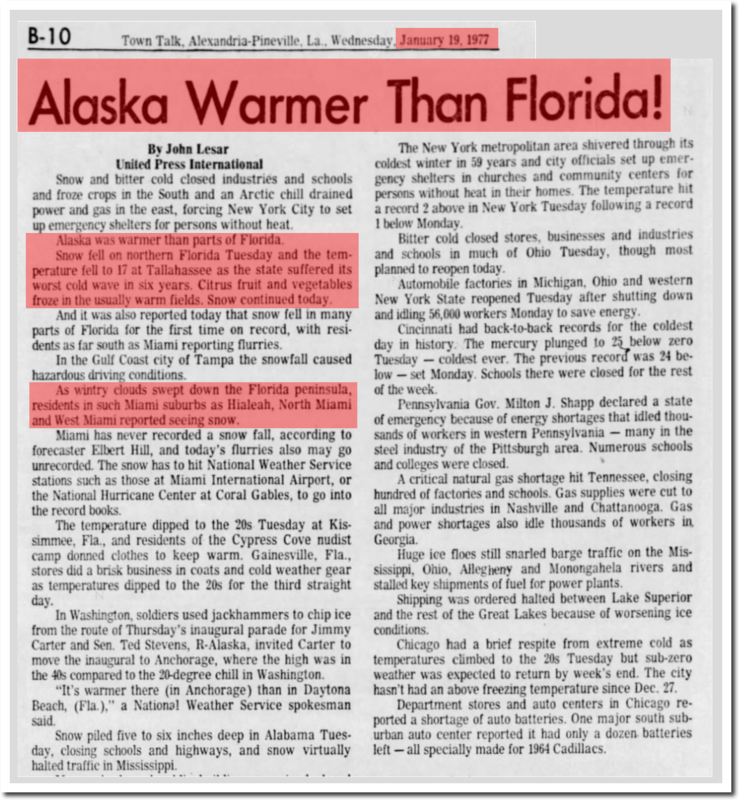 Also important to remember is that warmth in Alaska is proof of both global warming, and global cooling – depending on which answer politicians are currently willing to pay for. Good one, Tony! We need to understand the jet stream better. Likely electromagnetic. And it goes through a period of ordered and chaotic oscillation. This corresponds to sun spot frequency and solar winds. And the intensity of the solar winds can compress or expand the Earth’s atmosphere. Soon postulates that when the volume of the atmosphere contracts, the jet stream begins meandering due to the decreased volume… quite interesting. and since heat expands the atmosphere CO2 is obviously not heating the atmosphere sufficiently to counteract the Solar-instigated contraction. I’ve seen this name before. 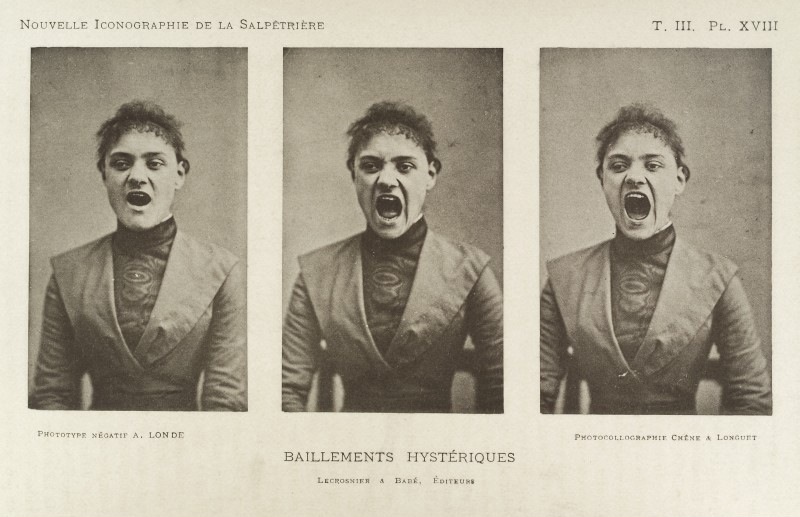 Then, it was also associated with nonsense. She probably voted for Silly Hillary, too. We had jet stream hysteria in 2010, with the great Moscow heat wave and the UK entirely covered in snow. 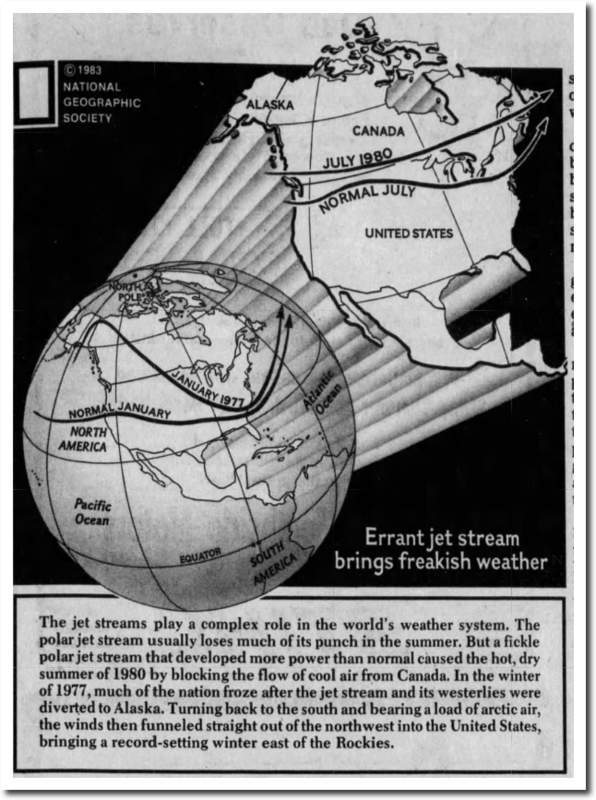 We have jet stream hysteria in 2018, again. Did CO2 have eight years off? 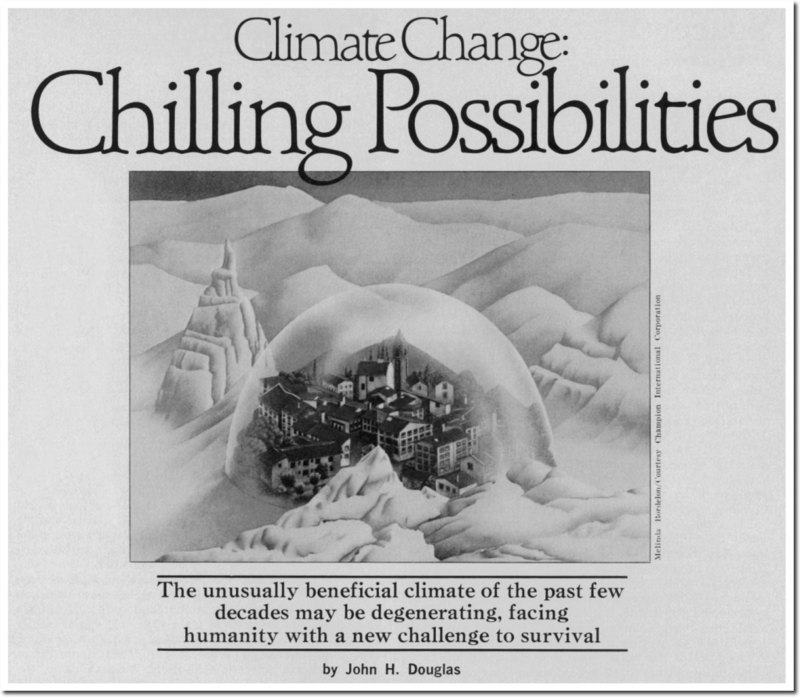 In 2010 the CAGW alarmists told us that the heat wave in Moscow was “a once in 15,000 year event!” I tried telling some of the regulars are Climate Progress that they were severely underestimating what range of weather events was possible over a 15,000 year period. “Shut up!” they explained. 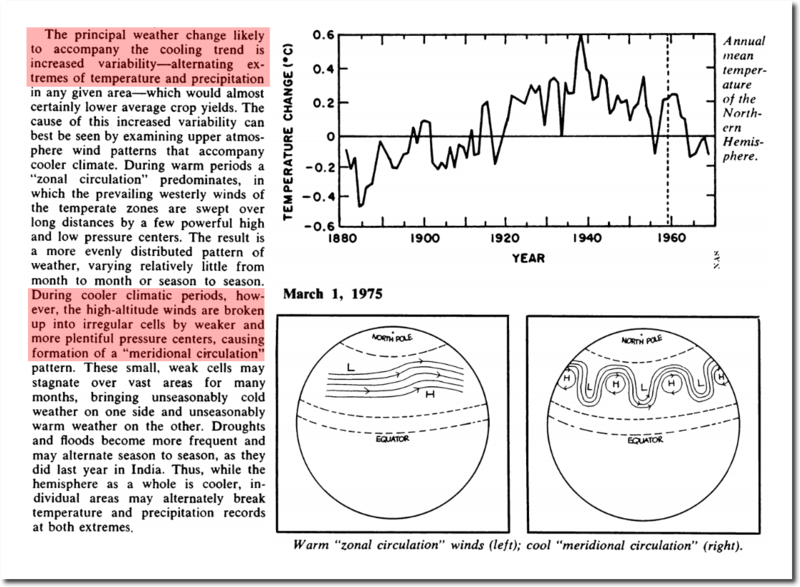 I failed just now to mention that historical records from Moscow reports similar or worse heat waves happening two or three times a century going back to the Middle Ages. So much for once in 15,000 years. Such things have been happening through whole recorded history. Do you have research staff? One man can not possibly find, organize, archive and remember all these articles. Wichita, KS had by far their earliest measurable snowfall on record this year on October 14 with .7″. 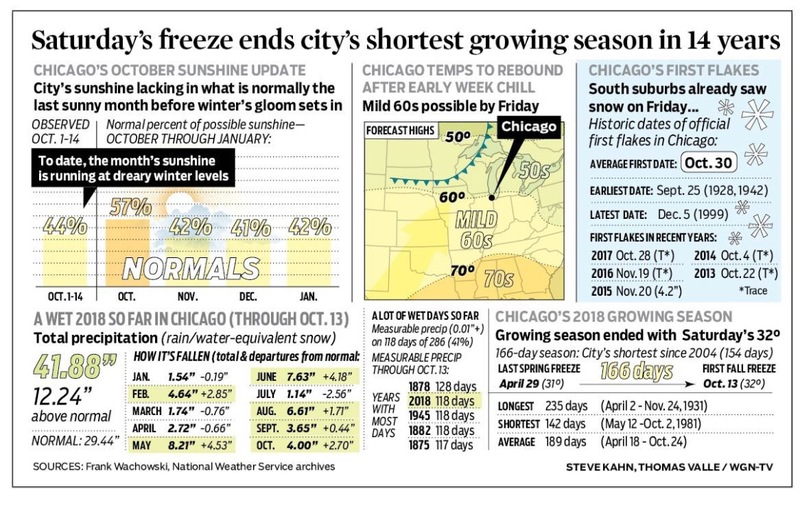 The previous record was .2″ on 10/22. The earliest day that the .7″ total was equaled or exceeded was on 10/28. On top of that, Wichita set two record low temperatures on 10/15 of this year, for both the lowest minimum and maximum temperatures. There records go back well over 100 years. All entirely consistent with catastrophic warming. Right! My local meteorologist said that North America set a new record today for snow cover area. It’s obviously the heat. Fort Collins CO, at least in my area, had snow Sunday am enough to cover the grass. I really didn’t believe it could possibly drop to 10F by Monday @0630 yet that was the temperature. 40 years in CO and both sides of the divide and that is the coldest ever for 15 October. I remember the January of 1977 very well as my wife and I, along with two other couples, had traveled from Pittsburgh to Florida to visit DisneyWorld and then go down to Key West. Unfortunately, the other two couples were Penn State fans so we ended up visiting DisneyWorld and January 1, the same time that Pitt defeated Georgia to win the national championship for the only time in the past half century! When we traveled to Key West, the daytime temps were 45 degrees. We still went snorkeling as the water was warm, but laying out on the beach was absurd. It was colder there than Pittsburgh where we had left to get out of the cold! Also, I was laid off at the time from one of those Pittsburgh steel mills mentioned in the article, but my wife and I had just got married a few months earlier so were still on cloud nine! Looking in at Great Lakes Temperatures, Lake Superior average surface temp is the lowest it has been in the past six years at this time. In 2012 the climate mob was chirping about Superior being “the canary in the coal mine” for global warming and how Superior was the hottest in a century. Then the midwest had record cold and the Great Lakes set ice coverage records or near records for two years straight in 2014-15.